Oh joy! Another 8 hours of sitting while thinking of all the productive things that could be accomplished in my classroom! That’s what many teachers think when we hear the dreaded professional development “training days” agenda. That all changed in October 2016 when I heard Katie Garner speak about the Secret Stories® at my school. It was the best 8 hours of any training I had ever attended. I walked away with a renewed motivation. I could not wait to share this tool with my students! Upon arriving at school the day after Katie's workshop, the students immediately noticed and questioned the “secret” posters hanging in our room. I informed them that I had attended a top secret training and I was allowed to share the secrets with them as I felt they were ready. Instant engagement! And from that moment on, their curiosity has guided the introduction and instruction of the Secret Stories®. Later that morning, I shared the first secret with my students. 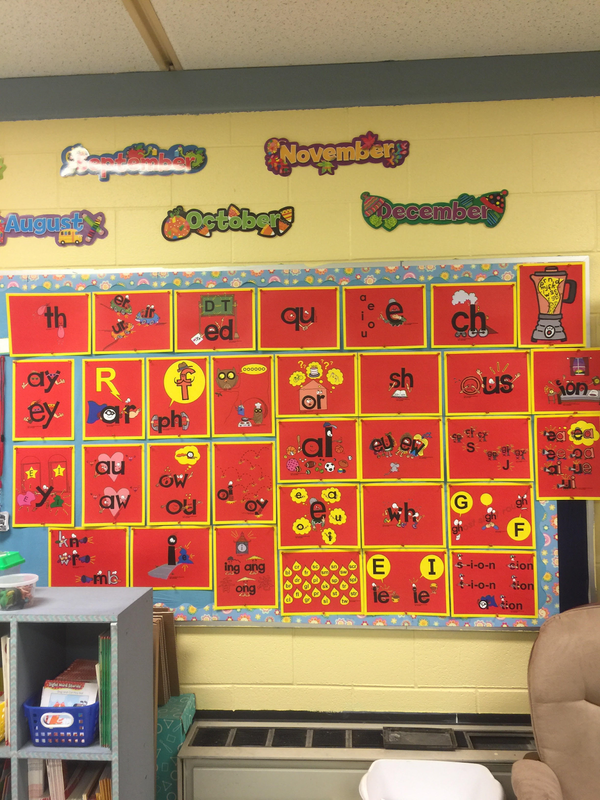 We just happened to be introducing the sight word “the” and one of my littles noticed that it had a /th/ in it just like the secret poster on the wall. So because they had noticed, I very dramatically told them the time had come. I shut the door, gathered them together, and told them their first secret. From then on, you could say the rest is history. 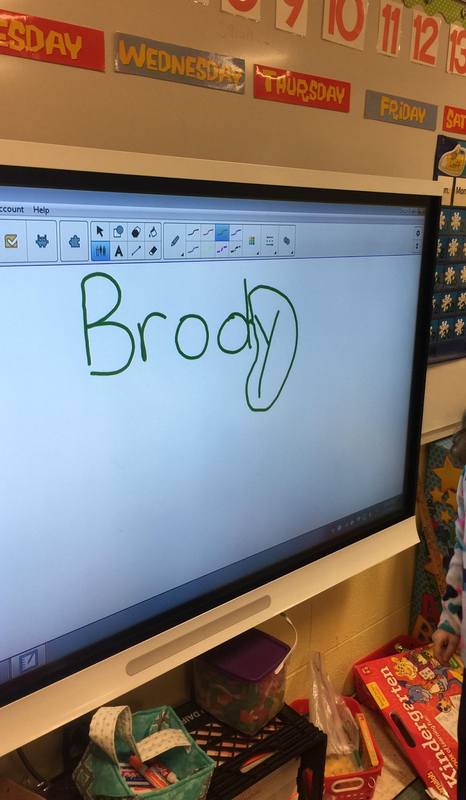 Each time I introduced a new secret, it was because of their interest and recognition of the letters in the secrets to words they found in their names... while we were reading, doing calendar activities, completing morning work, during math instruction, or even just walking down the hallway! This is my ninth year of teaching, and my fourth year teaching Kindergarten, and I can honestly say this has been the most exciting year of my career. I have seen so much growth in my students since introducing the Secret Stories® into our room, and the best part about it is... the kids LOVE it! 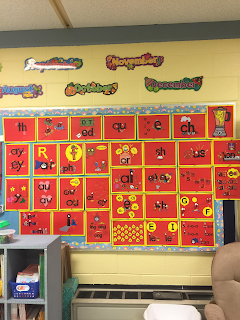 They are able to read, blend, manipulate word inflections, and write words with fluency, understanding, and confidence! Er, ir ur love to go driving in cars......"ERRRRR!" Mommy E® tells 'o' to SAY HIS NAME! Au & aw have huge crushes on each other...."Ahhhhhh!" Sneaky Y® will always be sneaky when he's at the end and thinks no one can see him! Superhero Vowels® in our alphabet train and their "short & lazy" disguises! 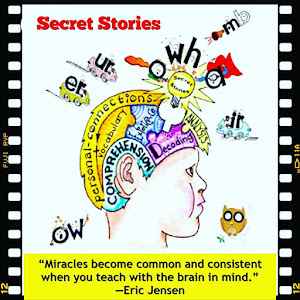 The Secret Stories® posters— our "most-used" classroom visuals! Thanks so much to Chastity for this awesome peek inside your classroom! I'm excited to see and hear more from your kiddos as they continue to progress throughout this year! Loved this post! Katie came to our district last summer and it really was the BEST inservice I have ever attended. She was so captivating that we didn't even go the bathroom, just in case we might miss something she said! And what impressed me the most was that everything she said would happen, did. My kids refer to the posters all day long and beg to learn the secret they don't know when they can't read a word. This was my first year using the Secret Stories, and it feels like I'm teaching in a different world, one where phonics fun and first graders read like third graders! 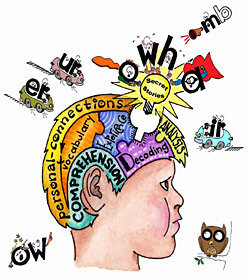 Can I ask what reading assessments you use at your school? I can completely relate to this! I am a grade 1 teacher in and I was lucky enough to attend TWO of your sessions at a conference a couple of year ago. I have used your Secret Stories ever since and have never seen results like I am seeing with my students. I am so excited about it, I just can’t keep it to myself! I would be thrilled to have Katie come to our school for a workshop! I'm so jealous!! !